COMERICA TOWER DETROIT photo art picture print photography for sale. This COMERICA TOWER DETROIT photograph prints for sale image is of the 43 story tall downtown DETROIT skyscraper which is the tallest office building in Michigan. Behind it can be seen The Guardian Building. 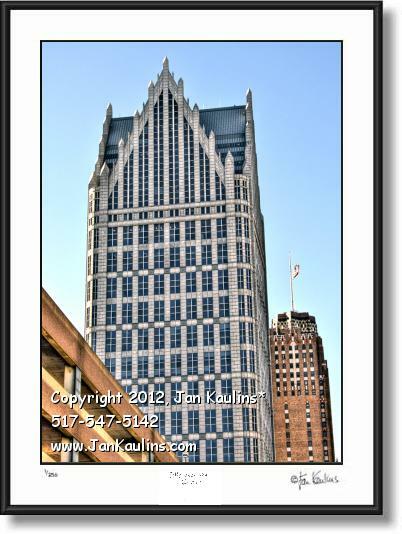 When Comerica's lease ran out in 2012 this beautiful structure was renamed ONE DETROIT CENTER (photo picture print for sale). It was constructed between 1991 and 1993.